“I always wanted Peter on the third album since he was on the first record LOCK UP we did. It made sense from a weird trilogy aspect to get him on the record. His tones compliment Tomas perfectly as well. I would have loved to have had Peter sing on more of the songs, but time was short as Peter was heavily involved with his new PAIN record. The songs he did sing on though made them extra special. 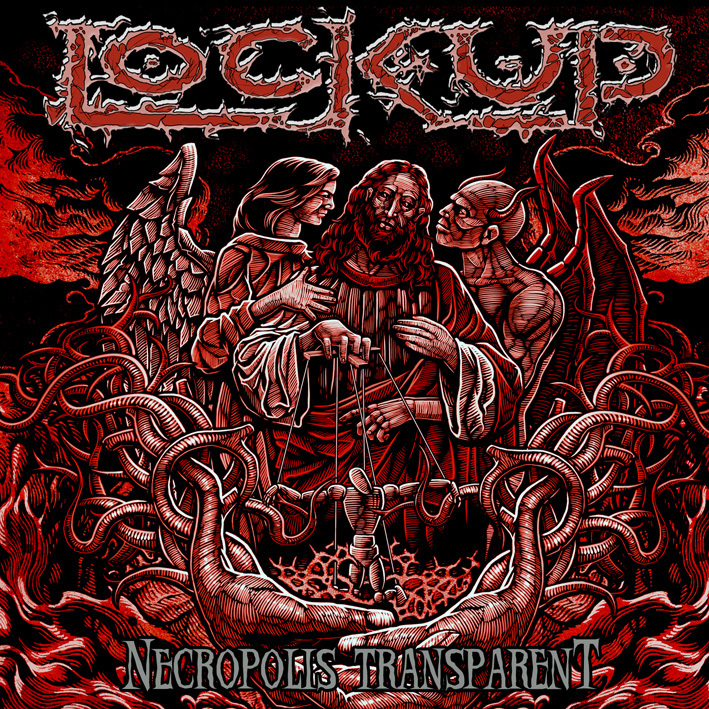 LOCK UP is the death-grind super group featuring Shane Embury (NAPALM DEATH, VENOMOUS CONCEPT), Nicolas Barker (ex-CRADLE OF FILTH, ex-DIMMU BORGIR), Tomas Lindberg (AT THE GATES, DISFEAR) and Anton Reisenegger (CRIMINAL, PENTAGRAM). Their new album Necropolis Transparent will be released on July 1 (Europe) and July 12 (North America) 2011.